New Delhi, February 28: The Delhi government’s newly constituted Power Grievance Cell has directed discoms to appoint PROs for every locality for better redressal for consumer grievances. At a meeting between the PGC and the RWAs, Justice R C Chopra , who is heading the cell, assured residents that the senior officers in the discoms had been directed to look into the complaints of inflated bills. Assuaging consumer concerns, the cell has stated that no theft case can be made out merely on the ground that the meter seal is broken and meters cannot be changed forcefully without notice. New Delhi, January 29: Delhi Chief Minister Sheila Dikshit today inaugurated the Power Department’s public grievance redressal cell. Consumers can now lodge their complaints online at www.bijlipgr.gov.in, or through the toll-free number 180 0112222. The redressal cell, which has been functioning for the past four days, has already received 500 complaints from consumers, power department officials said. While complaints like request for new connection will be forwarded to the individual companies, the power department itself will directly monitor complaints against discom staff, DERC, wrong billing and disconnections, added officials. The cell will be headed by Justice RC Chopra, retired judge of Delhi High Court. The increasing number of complaints from consumers against the power distribution companies had forced the government to set up the cell. The cell promises “time-bound” redressal of complaints and intends to “actively coordinate” with the discoms to address consumer problems. A senior Power department official said the discoms had their own consumer redressal cell but that consumer satisfaction was at an all-time low. “Moreover, we needed to check whether systemic changes were needed and what the nature of majority of the complaints was. Most complaints lodged till date with the cell are regarding disconnections and faulty meters,” the official said. Ramesh Chandra Chopra - B.A., LL.B. Born on December 18,1943. Entire education from schoolto college level at Delhi. Passed out from Law Faculty, Delhi University, Delhi in the year, 1966.
for appointments to Delhi Judicial Service in the year 1971. Magistrate, Civil Judge, Senior Civil Judge and Additional District and Sessions Judge between 1972 to 2000. From 1997 to 2000, worked as Member Secretary, National Legal Services Authority on deputation basis. IT TOOK five years and repeated reminders from the Delhi Electricity Regulatory Commission (DERC) to wake up the state government about providing free legal help to consumers in cases against private power distribution companies. The Delhi government has finally agreed to provide consumer advocates to protect the interests of the Capital’s citizens in their litigation against distribution companies (Distcoms). The DERC sent repeated reminders to the state government over the past year, asking it “to address the issue of absence of proper representa- tion of consumers’ interest before different forums”. “Due to power distribution privatisation, substantial litigation has emerged at all levels… Whereas parties to disputes like the Distcoms etc, are represented by top legal experts, there is no mechanism to ensure effective representation of consumer interests”, the DERC said in a letter to the government The state government says though the DERC sent letters, it was unable to spell out how this system could be implemented. ”The consumer advocates system will be under the state government’s Power Grievance Cell, set up earlier this year and headed by Justice R.C. 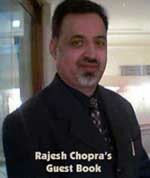 Chopra, a retired judge of the Delhi High Court,” said Delhi Chief Secretary Rakesh Mehta. “Consumers will be provid- ed with advocates free of cost to fight their cases and protect their interests,” the chief secretary said. The government is confident it will be able to set up the office of consumer advocates before the DERC begins its hearings on the Aggregate Revenue Requirement (ARR) petitions of the three distribution companies, seeking power tariff hikes later this month. However, a NGO working in the power sector has dismissed the government plan as an eye-wash. “The Special Powers Courts announced by the state government have not even been operationalised so far,” said Chetna President Anil Sood said.